Today’s card is being featured at my Coloring Class. I love all the different ways you can color a card. For this one, I used one of my favorite technique, emboss resist, combined with watercolor. 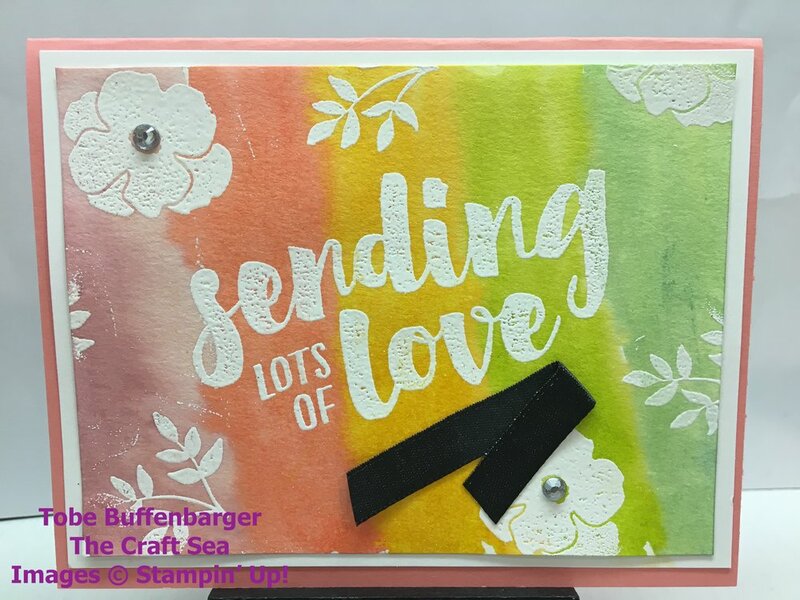 The Lots of Love Stamp Set is perfect for a smattering of images to emboss. From there I added some great colors to create a rainbow effect. After coloring, I added a few embellishments to finish off the card.